This one is for Doc Searls. He likes taking photos from the window seat. He grew up in New York City listening to the good old AM radio stations. Turns out that their towers are over in the New Jersey meadowlands, just on the west side of the Hackensack River. You can (barely) see them in the photo below. 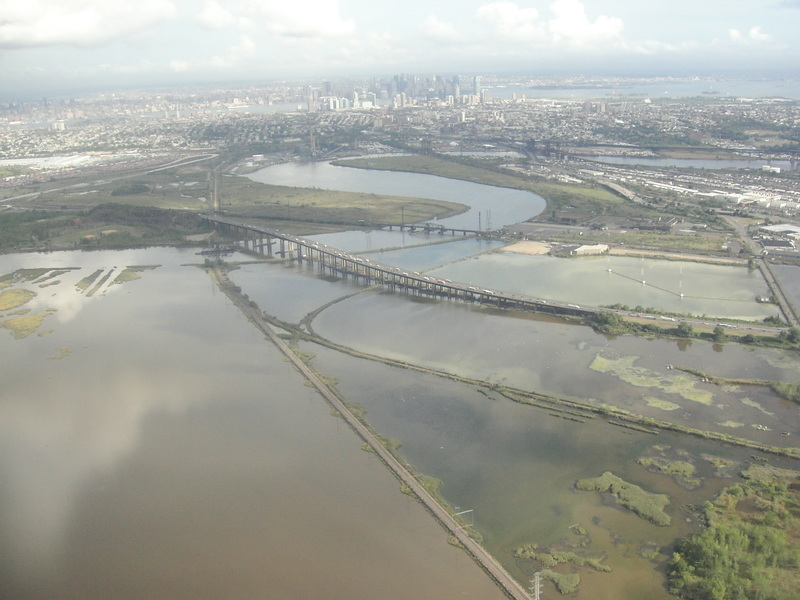 They're in the three wetland "cells" formed by the two Conrail tracks in the foreground, the New Jersey Turnpike, and the Amtrack tracks. The right-hand border is the Belleville Turnpike. Just out of the frame to the bottom (northwest of the photo) is I95. The WAAT towers are in the near cell, probably just off the frame to the right. The WNEW towers are on the little spit of land in the middle cell. The far cell shows the WMCA towers best. In the distance you can see the Hudson River. On the Jersey side you have Hoboken, and on the New York side is Manhattan with its missing twin towers. In the Hudson is Liberty Island with the Statue of Liberty barely visible. 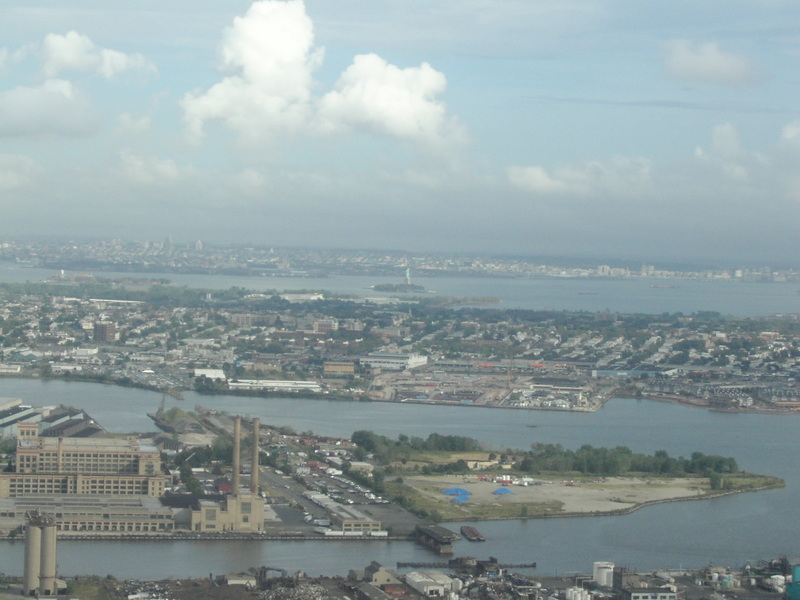 The second photo has a better shot of the Statue of Liberty across the Passaic River in the near front, Kearny Point, the Hackensack River, Jersey City, and the Hudson.